Farrar, Straus and Giroux, 9780374525101, 160pp. Annie John is a haunting and provocative story of a young girl growing up on the island of Antigua. 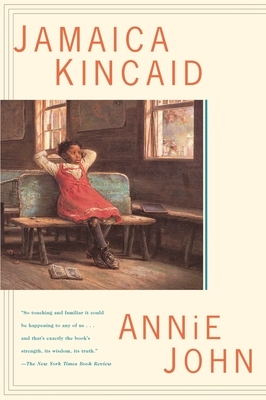 A classic coming-of-age story in the tradition of The Catcher in the Rye and A Portrait of the Artist as a Young Man, Kincaid's novel focuses on a universal, tragic, and often comic theme: the loss of childhood. Annie's voice—urgent, demanding to be heard—is one that will not soon be forgotten by readers. Jamaica Kincaid was born in St. John's, Antigua. Her books include At the Bottom of the River, Annie John, Lucy, The Autobiography of My Mother, and My Brother. She lives with her family in Vermont.